Greetings friends and fellow crafters. 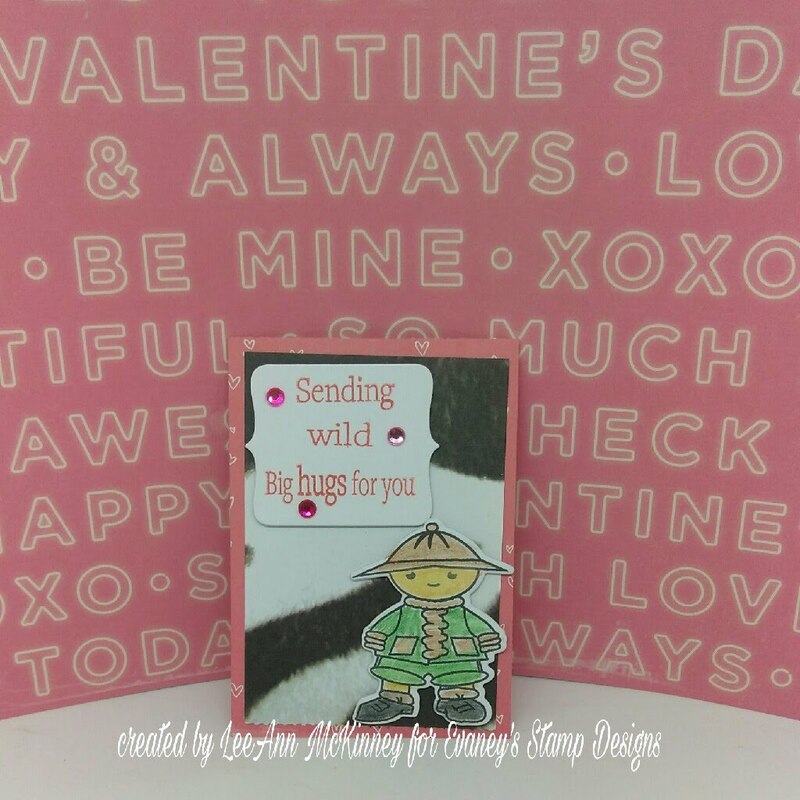 LeeAnn here with a few Valentine's ATC size cards I made using Evaney's stamps. Using the Savanna Christmas set I stamped out the critters and used the coordinating dies to cut them out using my Big Shot. I then used Prismacolor Pencils to color the images and blended using Gamsol. I used a sheet of pattern paper from Crate Paper 12 x 12 pad for the bottom layer, and animal print from Colorbok as the top layer. I used my Stamp Press to position the stamps from the set for stamping with a Nuvo Poppy Red ink pad. 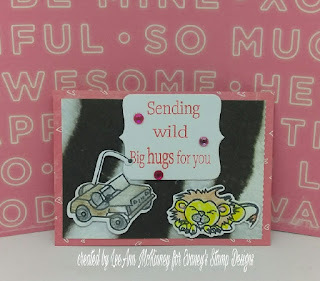 I used a die from my stash (Recollections) to cut out the sentiment. I honestly love the versatility of this set. 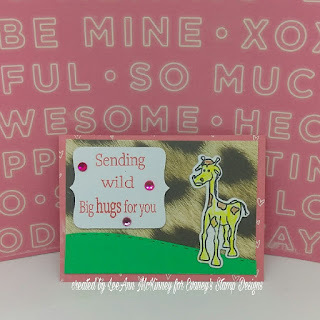 Christmas, Valentines, and just fun cards in general mixed with other sentiments like Happy Birthday or Thinking of you.